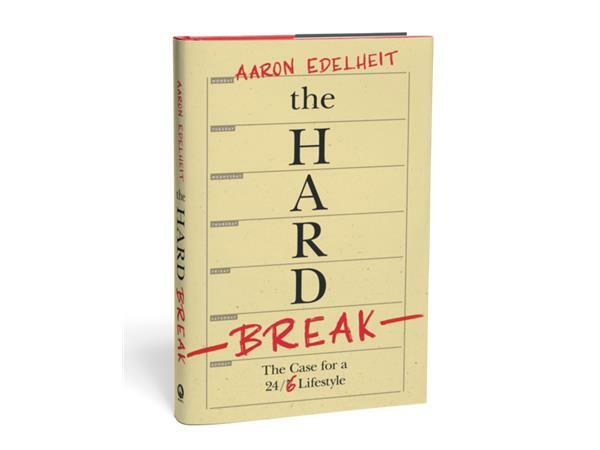 Aaron Edelheit Shares "The Hard Break the case for a 24 / 6 lifestyle"
And yet most of us also feel something is wrong. All of these attempts at optimizing business and life isn’t really making us happier. Ironically, it might not be making us all that productive either. In this groundbreaking book, noted entrepreneur and money manager Aaron Edelheit breaks down the myths around productivity and offers a startlingly simple solution: the Sabbath. Through his personal journey of discovering the joy of taking a “hard break” of one day a week to reset, Edelheit profiles not only his own life transformation, but how this same practice has been changing the lives of well known entrepreneurs, celebrities and politicians alike.